Kim Jong Un, Chairman of the Workers' Party of Korea and Chairman of the State Affairs Commission of the DPRK, is to visit China from January 7 to 10, Juche 108 (2019) at the invitation of Xi Jinping, general secretary of the Central Committee of the Communist Party of China and president of the People's Republic of China. 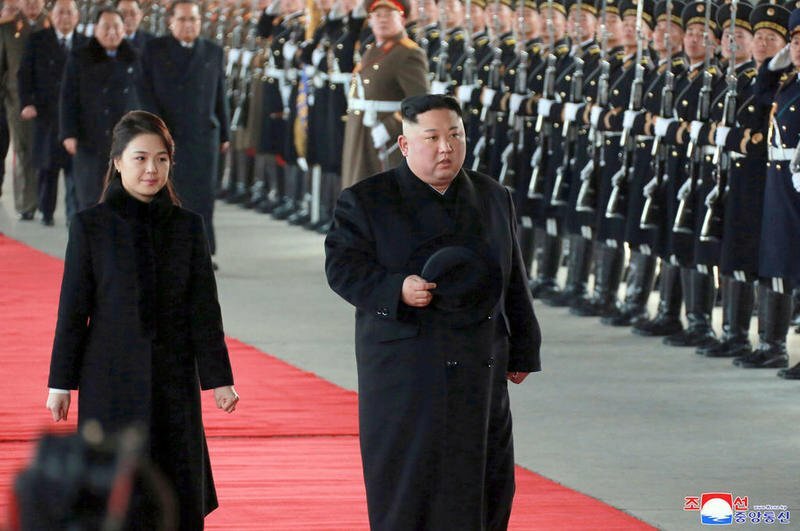 He left Pyongyang with his wife Ri Sol Ju in the afternoon of January 7 to visit the PRC. He was accompanied by Kim Yong Chol, Ri Su Yong, Pak Thae Song, Ri Yong Ho, No Kwang Chol and other leading officials of the Party, government and armed forces organs. He was warmly seen off by leading officials of the Party, government and armed forces organs at the railway station. He said good-bye to the officials before boarding the private train. The officials warmly saw off Kim Jong Un, wholeheartedly wishing him good successes in his China visit and a safe trip.